Strategically important for education and for social, cultural and economic development, the higher-education sector constitutes 40 percent of the economy of the Turkish Republic of Northern Cyprus. There are not many places nearby that Israelis can visit that are inexpensive and not hostile. 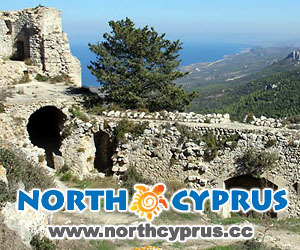 However, the Turkish Republic of Northern Cyprus is a place that Israelis can visit, enjoy for relatively little money and be welcomed for who they are. The island of Cyprus in the eastern Mediterranean is 40 miles from the coast of Turkey, 60 miles from Syria and 250 miles from Egypt. It is the third-largest island in the Mediterranean after Sicily and Sardinia. Karpaz Gate Marina is at the heart of one of the most attractive areas of the Eastern Mediterranean, amid the unspoiled beauty of the Northern Cyprus Karpaz Peninsula. An ambitious pipeline project linking reservoirs in Turkey to the parched, isolated Turkish Republic of Northern Cyprus is on track to bring much needed drinking water to the island by year's end. Mr. Speaker, I rise today regarding the 40th anniversary of the division of Cyprus, and to encourage a final settlement that makes possible a reunited island and a shared, peaceful and prosperous future for all Cypriots. The Greek Cypriots have agreed to come to the table and begin negotiations with their Turkish counterparts. The United States stands by its commitment to peace in the Eastern Mediterranean. A division that has left both Turkish and Greek Cypriots bogged down in an unacceptable status quo that continues to impede economic and social progress on the island.